Dawn's Crafting: Not One But Two! Thank you very much Rachel, - I'm honoured to receive them both! I need to publicly thank the people who gave them to me. Thank's again Rachel, I'm honored & delighted that you chose me! 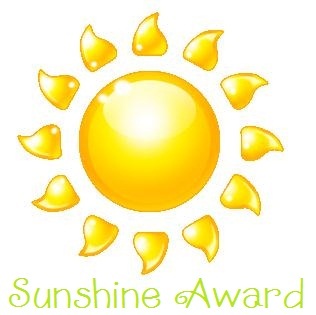 Sunshine Award has some specific questions for me to answer. The Sunshine Award questions will effectively cover the 7 facts about me. Favourite drink: Hmmm that's tough one! I guess it would be cider! Facebook or Twitter: FB although I do tweet too! Good book or good movie: A good book on holiday but a good movie on a cosy night in! Giving or getting gifts: Has to be giving! I love to see peoples faces when you give them a well chosen gift! That's not to say I don't like getting gifts too! Favourite flower: Can't say I have a favourite but I love to see daffodils as they herald the start of spring! I now have to nominate 3 people to get these awards. I always find this difficult as there are so many fantastic bloggers out there! 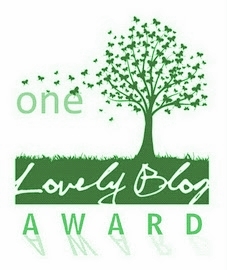 Thank you for nominating me, I feel really honoured ,however, I do have a little note on my sidebar saying that unfortunately I do not have time to accept awards. Sorry about that, I hope I haven't offended you. Dawn you are one of the sweetest people!!!! You certainly deserve these sweet awards and I feel so honored that you chose me to receive them too. Fun, fun, fun!!! !